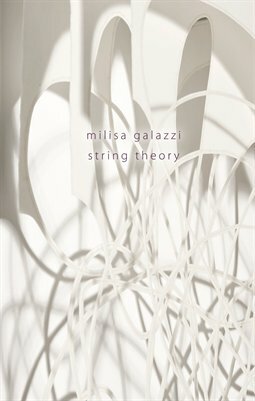 In this 6" x 8" book, Galazzi provides a detailed exploration of the wax-and-paper shadow drawings in her ongoing series, String Theory. Luscious photographs are interspersed with reviews and other texts, as well as images of the works in progress and a sweeping studio view. Graphic designer Karen Freedman teamed up with Galazzi to create this 25-page catalog, which tells the visual tale of the artist's journey working with light, space, and time.